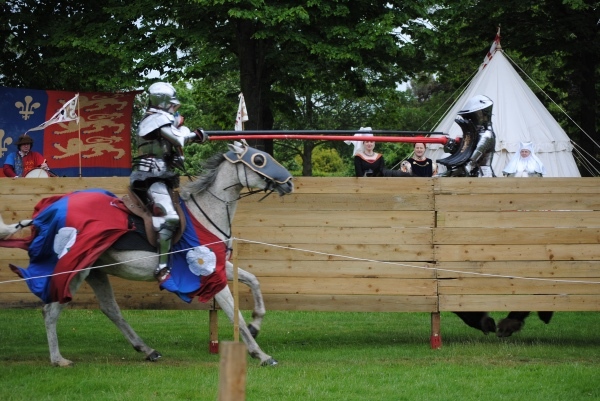 • Easter is being celebrated in London through a range of events over the long weekend. They include an ‘Easter Extravaganza’ treasure hunt for children at The Royal Mews, Buckingham Palace, and a special Easter-themed trail at the Russia: Royalty & the Romanovs exhibition in the Queen’s Gallery, Lindt Gold Bunny Hunts at royal palaces including Hampton Court Palace and Kensington Palace, and, of course, all the pageantry of Easter services at the city’s many churches. • A major new exhibition of the work of contemporary glass artist Dale Chihuly has opened at Kew Gardens in London’s west. Chihuly at Kew features 32 works by the Seattle-based artist at 13 locations across the gardens. Highlights include Sapphire Star – located at the Victoria Gate, Drawings, the Rotolo series and Seaforms – all located in the Shirley Gallery of Botanical Art and a new, specially-designed sculpture as well as nine other installations in the Temperate House. An interactive trail designed for families takes visitors around the installations and there will be special night-time viewings from 15th August. Kew is also running family activities during Easter. Chihuly runs until 27th October. Admission charge applies. For more, see www.kew.org. • New works by Irish-born but American-based artist Sean Scully have gone on show at the National Gallery. Sea Star: Sean Scully at the National Gallery was inspired by the artist’s love for JMW Turner’s painting The Evening Star and features new and recent large scale multi-panel works that include his celebrated Landline paintings as well as Robe Blue Blue Durrow (2018), which suggests the seventh-century Book of Durrow from his native Ireland, and Human 3 (2018), inspired by the New York subway. Admission is free. Runs until 11th August. For more, see www.national gallery.org.uk. • On Now: Mary Quant. This exhibition at the V&A focuses on the 20 years between 1955 and 1975 and reveals how Dame Mary Quant democratised fashion for a new generation as she popularised the miniskirt, colourful tights, and tailored trousers. 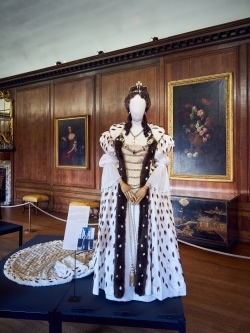 The display brings together more 120 garments as well as accessories, cosmetics, sketches and photographs, most of which have never been on display. Highlights include 35 objects from 30 people received after a public call-out to track down rare Quant items from wardrobes across the nation and 50 photographs of women wearing their Quant clothes. Runs until 8th March, 2020. Admission charge applies. For more, see vam.ac.uk/exhibitions/mary-quant. 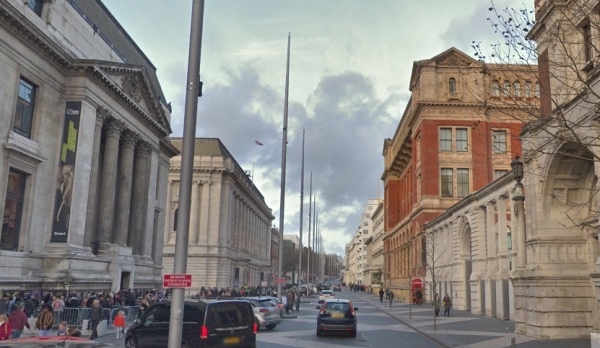 • The V&A has reopened the second of its two Cast Courts following a redevelopment which has seen the addition of a new interpretation gallery, new exhibits and the restoration of historic original features. The West Court, now renamed the Ruddock Family Cast Court, has been returned to its historic past with original 19th century floors and wall colours and the Central Gallery, now renamed the Chitra Normal Sethia Gallery, features a new exhibition exploring the history, significance and contemporary relevance of the casts on display. 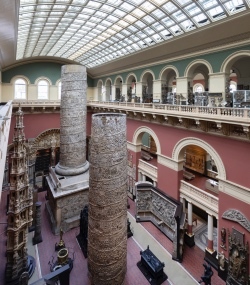 Among the new exhibits are a scaled down digital reproduction of the arch of Palmyra destroyed by the so-called Islamic State in 2015 while one of the key existing exhibits, a 35 metre high cast of Trajan’s Column (displayed in two parts – see picture) has had its base permanently opened so visitors can gain an internal perspective. The reopening follows that of the Weston Cast Court in 2014 and completes a project which was begun in 2011. The Cast Courts were first opened in 1873, then known as the Architecture Courts, and house a collection of casts of some of the world’s most inspiring objects including everything from Michelangelo’s David to 16th-century tombs by Peter Vischer in Nuremberg and the Pórtico de la Gloria from the Cathedral of Santiago de Compostela. They are the only public galleries in the South Kensington institution to display the same collection of objects as when they first opened. Entry to the Cast Courts is free. For more, see www.vam.ac.uk. PICTURE: © Victoria and Albert Museum, London. • Works by Edward Burns-Jones, Dante Gabriel Rossetti, John Everett Millais and Grayson Perry are among those on show as part of a new exhibition at the City of London Corporation’s Guildhall Art Gallery. Visions and Visionaries – a collaboration between the Guildhall Art Gallery, The Sir Denis Mahon Charitable Trust, Flat Time House, and the Bologna-based Association Age of Future, highlights some of the key figures who defined the ‘Visionary’ idea of art and laid the foundations for a later generation of avant-garde artists. Among the works on show are Sir John Gilbert’s depiction of two knights ambushed by fairies in a moon-lit forest, Marcello Pecchioli’s Alien Priest, and John Latham’s experimental screen print, NO IT, 1967 as well as Sir John Gilbert’s The Enchanted Forest, Burne-Jones’ St Agnes and St Dorothy; and a series of 25 drawings by Blake to illustrate two poems by Thomas Gray, The Bard and The Fatal Sisters. Admission is free. Runs until 28th April. For more, follow this link. • On Now: Cats on the Page. Featuring original illustrations of Mog by Judith Kerr, Beatrix Potter’s Kitty-in-Boots as imagined by Quentin Blake and two illustrations by Axel Scheffler for TS Eliot’s Old Possum’s Book of Practical Cats, this exhibition at the British Library is a celebration of literary felines and their creators. Objects on show include Lewis Carroll’s own copy of the exceptionally rare 1893 (third) edition of Through the Looking-Glass and what Alice found there (in which the author expresses frustration with the printing including a comment on an illustration of Alice’s kitten), an 1879 letter by Edward Lear in which he included doodles of himself and his cat Foss, a 16th century pamphlet on witchcraft with a woodcut image accompanying the description of a black cat or familiar belonging to ‘Mother Devell’, and a letter written by TS Eliot to Alison, daughter of his friend Geoffrey Tandy, which contains a draft of his poem Mungojerrie and Rumpelteazer as well as Alison’s reply which includes drawings of the two cats. Coinciding with the 80th anniversary year of the original publication of Old Possum’s Book of Practical Cats, the free exhibition is being accompanied by a programme of events and can be seen until 17th March. For more, see www.bl.uk/events/cats-on-the-page. 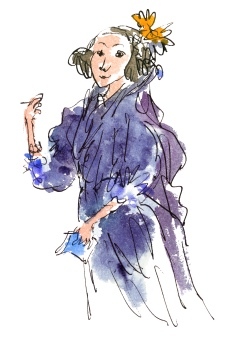 A new work by acclaimed illustrator Sir Quentin Blake has gone on show in the Science Museum in South Kensington. The work, which hangs on the external walls of Wonderlab: The Equinor Gallery, features five panels featuring some 20 women and men from the world of science of technology including the “enchantress of numbers”, mathematician Ada Lovelace (1815-1852 – pictured right; her ‘analytical machine’ is below), polymath Jagadis Chandra Bose (1858-1937) – the first scientist to use a semiconductor to detect radio waves, Sir Richard Arkwright (1732-1792) – pictured with his ground-breaking spinning machine, and pilot Amy Johnson (1903-1942) – pictured alongside the De Havilland Gipsy Moth in which she made the first solo flight from Britain to Australia. London-born Blake, who had his first cartoons published in Punch when just 16-years-old, is most famous for his illustrations in children’s books including in works by Roald Dahl and David Walliams. For more on the Science Museum, head to www.sciencemuseum.org.uk. • The world’s first photographic experiments and earliest cameras, pictures by everyone from pioneer Julia Margaret Cameron to 20th century great Cecil Beaton, and a series of newly commissioned works by German photographer Thomas Ruff and American artist Penelope Umbrico are among attractions at the V&A’s new Photography Centre, the first phase of which opens tomorrow. 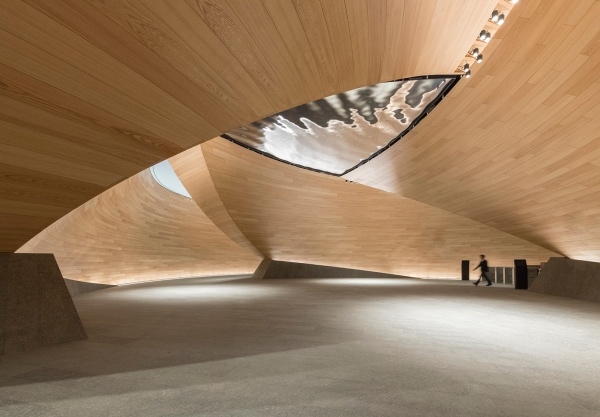 Designed by David Kohn Architects, the new centre spans four galleries and more than doubles the space dedicated at photography at the South Kensington institution. The initial display, Collecting Photography: From Daguerreotype to Digital, includes more than 600 objects from across the world including seminal prints and negatives by pioneers like William Henry Fox Talbot and Cindy Sherman, 20th century greats like Alfred Stieglitz, Walker Evans and Irving Penn, and contemporary photographers like Hiroshi Sugimoto, Mary McCartney and Martin Parr. There’s a pioneering botanical cyanotype by Anna Atkins, images by the world’s first female museum photographer – Isabel Agnes Cowper, and motion studies by Eadweard Muybridge as well as camera equipment, photographic publications, original documents and a “digital wall” to showcase cutting-edge photo imagery. The opening is being accompanied by a three week ‘spotlight’ on photography across the V&A including talks, screenings, courses, workshops and other events. Entry to the new centre in the V&A’s North East Quarter is free. A second phase, including a teaching and research space, browsing library and studio and darkroom for photographer residencies, will open in 2022. For more, see www.vam.ac.uk. 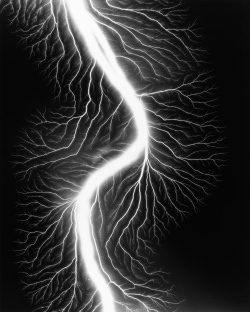 PICTURES: Top – Rendering of Gallery 99 in the new Photography Centre (© David Kohn Architects); Right – Hiroshi Sugimoto, Lightbody Fields 225, 2009, Gelaton silver print form a photogram (© Hiroshi Sugimoto, Victoria and Albert Museum). • The role women have played in the development of jazz music is the subject of a new exhibition at the Barbican Music Library in the City of London. Women in Jazz explores how social and political changes in the 20th century played a significant role in encouraging more female involvement in jazz and highlights the new generation of performers. The display includes photographs, journals, video and memorabilia from the National Jazz Archive. Opens on Tuesday and runs until 31st December. For more, follow this link. • The first major retrospective of textile artist Anna Albers (1899-1994) opens at the Tate Modern today. Anna Albers features her most important works – many shown in the UK for the first time – in a display including more than 350 objects including small-scale studies, large wall-hangings, jewellery made from everyday items, and textiles designed for mass production. It explores the many aspects of Albers’ practice including the intersections between art and craft hand-weaving and machine production as well as the artist’s writings, including The Pliable Plane: Textiles in Architecture (1957), On Designing (1959) and On Weaving (1965). Berlin-born Albers was a student at the Bauhaus in the 1920s and there began working with textiles – later taking her talent to the US and making many visits to Central and South America. The exhibition in the The Eyal Ofer Galleries runs until 27th January. Admission charge applies. For more, see www.tate.org.uk. • The biggest ever exhibition exploring the Sun opens at the Science Museum in South Kensington this Saturday. The Sun: Living With Our Star features everything from Nordic Bronze Age artefacts revealing ancient beliefs about how the Sun was transported across the sky to details of upcoming NASA and European Space Agency solar missions. 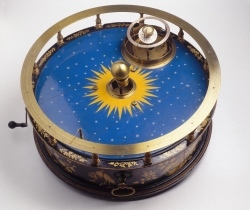 Highlights include the original ‘orrery’ (pictured), an instrument made for the Earl of Orrery in 1712 to demonstrate the motions of the Earth and Moon around the Sun, a rare concave mirror known as a yang-sui which was used for lighting fires in China and dates to between 202 BCE and 9 CE, and a Tokomak ST25-HTS, a prototype nuclear fusion reactor which successfully created and sustained plasma for a record-breaking 29 hours in 2015. There’s also an astronomical spectroscope made for Norman Lockyer, founder of the Science Museum, who used it to identify the element helium in 1868 – the exhibition actually coincides with the 150th anniversary of Lockyer’s discovery, the first of an “extra-terrestrial” element. 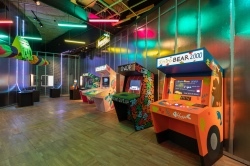 The exhibition also includes interactive experiences including a huge illuminated wall display allowing visitors to see the Sun rise in different seasons and locations and another in which visitors are able to bask in the sun while sitting in deck chairs under palm trees with sand at their feet. Runs until 6th May next year. Admission charge applies. The exhibition is being accompanied by a programme of events including “family festivals” in early November and early March. For more, see www.sciencemuseum.org.uk/see-and-do/the-sun-living-with-our-star. PICTURE: Science Museum Group Collection/© © The Board of Trustees of the Science Museum. • The story of Charles Darwin is told in a new two hour stage play featuring a cast of seven people and 30 hand-made puppets which opened at The Natural History Museum this week. The Wider Earth, which follows Darwin as he sets out on a daring five year journey aboard the HMS Beagle through uncharted landscapes, is being staged in the museum’s Jerwood Gallery following sold-out seasons in Australia and represents the first time a performance-based theatre has been constructed in the museum. Presented by Trish Wadley Productions and Dead Puppet Society in association with Glass Half Full Productions, the show runs until 30th December. To book tickets, head to www.thewiderearth.com. • This year marks 80 years since Sigmund Freud and Salvador Dalí famously met in London on 19th July, 1938 – a meeting at which Dalí revealed to Freud his recently completed painting The Metamorphosis of Narcissus. The Freud Museum has launched a new exhibition – Freud, Dalí and the Metamorphosis of Narcissus – which explores the extensive influence of Freud on Dalí and on Surrealism as well as Freud’s own reaction to the painting. The painting forms the centrepiece of the exhibition which also includes drawings, photographs and prints as well as documents including letters, manuscripts, books and Freud’s appointment diary. The display is accompanied by a programme of events. Runs until 24th February. Admission charge applies. For more, see www.freud.org.uk. • The “invaluable” role artists from abroad played in the development of British medallic art is the focus of a new display at the British Museum. Witnesses: émigré medallists in Britain features medals from six centuries documenting significant historical moments and commemorating famous British figures. The earliest objects date from Elizabethan England when Dutch artist Steven van Herwijck introduced the art of the medal to Britain’s cultural elite while ‘stars’ in the display include a spectacular Waterloo medal conceived by 19th century Italian gem engraver Benedetto Pistrucci which took 30 years to complete and bears the image of the four allied sovereigns – George, Prince Regent, Francis II of Austria, Alexander I of Russia and King Frederick William III of Prussia. The free display can be seen in Room 69a until 7th April next year. For more, see www.britishmuseum.org. PICTURE: Benedetto Pistrucci: Coronation of George IV, 1821, gold, 35mm. © the Trustees of the British Museum M5716. B, 1070. CME6436. 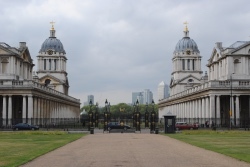 • More than 800 buildings of all kinds open their doors to the public this weekend as part of the 26th Open House London. Highlights of this year’s event include new entries such as the US Embassy, the Royal Opera House and Bloomberg’s new HQ as well as returning favourites such as the BT Tower, The Shard and 10 Downing Street. There’s also a programme of activities “lifting the lid” of Old Oak and Park Royal – the heart of ‘making’ in London, explorations of new London districts such as Wembley Park, Hackney Wick and Barking Riverside, the chance to view RIBA Award-winners including the Belvue School Woodland Classrooms, Hackney Town Hall and No.1 New Oxford Street, the new COS HQ, and 100 “must-see” homes. 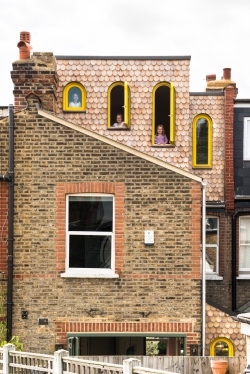 The full programme of events – which also highlights the contribution women have made in shaping today’s London – can be found at www.openhouselondon.org.uk and there’s a free app to download. PICTURED: Top – Bloomberg European Headquarters (Nigel Young/Foster + Partners) and right – Valetta House (French & Tye) are among properties open to the public. • A multi-screen art installation remembering the millions of African men and women who served in World War I and an immersive sound installation featuring personal reflections on the Armistice are among four exhibitions opening at the Imperial War Museum in Lambeth on Friday. Projected onto three screens, African Soldier combines a powerful sound score, historic footage and newly created film which has been shot by artist John Akomfrah in various locations around the world to speak to the African experience of World War I while the sound installation, I Was There: Room of Voices, features 32 people who fought and lived through war sharing their personal stories of the Armistice. The exhibitions also include Renewal: Life after the First World War in Photographs – a display of more than 100 black and white photographs showing how lives, landscapes and national identities recovered, evolved and flourished after the war – and Moments of Silence, an immersive installation commissioned from 59 Productions. The exhibitions, which can be seen until 31st March, are part of the IWM’s Making A New World, “a season of art, photography, film, live music, dance and conversations exploring how the First World War has shaped today’s society”. For more see www.iwm.org.uk. 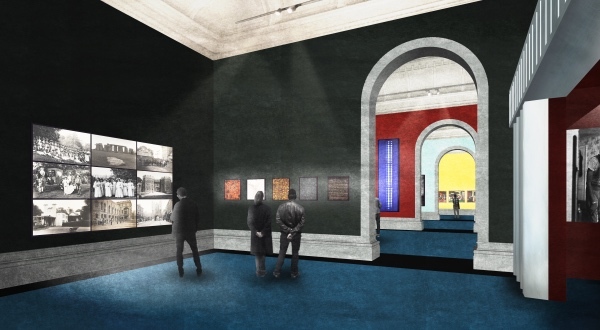 • The role of science in the lives – and deaths – of the last Russian Tsar, Nicholas II, and his family is explored in a new exhibition opening at the Science Museum in South Kensington which marks 100 years since the end of the Romanov dynasty. The Last Tsar: Blood and Revolution explores the influence of medicine on the Imperial Family – everything from how they treated conditions such as the heir Alexei’s haemophilia through to the Tsarina’s fertility and the Red Cross medical training the Tsar’s daughters received – as well as recent advances in medicine and forensic science which have been deployed to transform the investigation into their disappearance. Objects on show include personal diaries, an Imperial Fabergé Egg presented to the Tsar by his wife a year before the fall of the Imperial house and photograph albums created by an English tutor to the Imperial Family. There’s also evidence from the scene of the family’s execution including the dentures of the Imperial physician, a diamond earring belonging to the Tsarina and an icon peppered with bullet holes. Opening on Friday, the exhibition runs until 24th March. For more, see www.sciencemuseum.org.uk/thelasttsar. • A free dance and science festival celebrating Antarctica opens at the Science Museum in South Kensington on Tuesday. Antarctica Live features daily dance performances – including a newly devised performance by award-winning choreographer Corey Baker, workshops and hands-on experiences with real survival equipment to shed light on how the frozen continent is responding to increasing human activity and how its fate can affect us all. Visitors will also be able to see a scale model of the recently launched polar research vessel, the RRS Sir David Attenborough. A special “lates” event on 29th August in the museum’s IMAX Theatre will premiere the documentary film Dancing on Icebergs, which charts the two year making of the short film, Antarctica: The First Dance, featuring Madeleine Graham, star of the Royal New Zealand Ballet (pictured). The screening will be followed by a live Q&A with Corey Baker. Antarctica Live runs until 30th August. For more, see www.sciencemuseum.org.uk/see-and-do/antarctica-live. PICTURE: Madeleine Graham in Antarctica The First Dance © Jacob Bryant. • On Now: Leaving Today – the Freuds in Exile 1938. This exhibition at the Freud Museum London in Hampstead focuses on the flight and exile of Sigmund Freud, his wife Marta and daughter Anna as, following Hitler’s annexation of Austria, they left Vienna on 4th June, 1938, heading to a new life in London. It features original documents, letters and objects, many of which have never been on public display before. 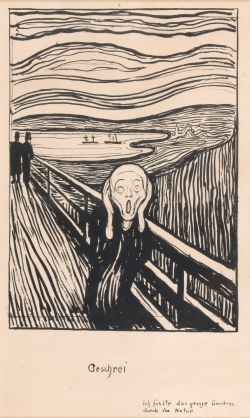 Highlights included the documents Freud and his family required to exit Austria and enter Britain, Freud’s personal correspondence with figures like Albert Einstein and HG Wells, and the first public display of Marie-Louise von Motesiczky’s painting The Psychoanalyst. The exhibition also features a series of works created by young people attending the Baobab Centre for Young Survivors in Exile in collaboration with Barnaby Barford. Runs until 30th September. Admission charge applies. For more, see www.freud.org.uk. • The Science Museum is marking the 40th anniversary of IVF (in vitro fertilisation) with a special exhibition opening today. IVF: 6 Million Babies Later tells the story of the development of IVF from the work of early pioneers like Robert Edwards, Patrick Steptoe and Jean Purdy through to the birth of Louise Brown on 25th July, 1978, and on to the latest research in reproductive science. Items on show include one of the ‘Oldham Notebooks’ in which the scientific data collected by Purdy and Edwards between 1969 and 1978 was recorded along with examples of the equipment they used such as the glass desiccator used by Edwards to incubate embryos. The display also includes press coverage and personal correspondence and gifts received by Louise’s parents from around the world. A special late night opening will take place on 25th July. 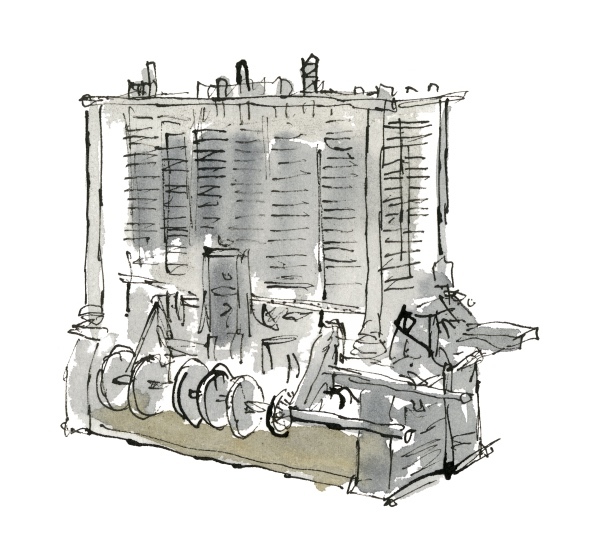 Runs at the South Kensington museum until November. Admission is free. For more, see www.sciencemuseum.org.uk/ivf. • The City of London Beerfest returns to Guildhall Yard today with musical performances and the chance to enjoy some of the UK’s finest ales, beers and ciders. Now in its sixth year, City Beerfest runs from 12.30pm to 9pm with proceeds going toward The Lord Mayor’s Appeal, which supports the Lord Mayor’s dedicated charities, and the City Music Foundation, which helps young musicians gain valuable entrepreneurial skills for successful careers. For more, see www.citybeerfest.org. • On Now: The Great British Seaside. This major exhibition of photography at the National Maritime Museum in Greenwich features more than 100 photographs taken by some of Britain’s most popular photographers, including Tony Ray-Jones, David Hurn and Simon Roberts, as well as new works by Martin Parr. Runs until 30th September. Admission charge applies. For more, see www.rmg.co.uk/see-do/Great-British-seaside. Send all information for inclusion to exploringlondon@gmail.com. 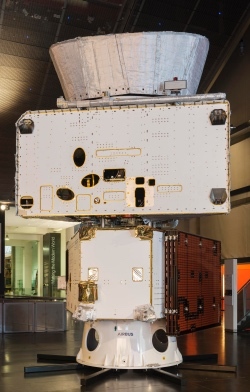 A full-sized engineering model of the BepiColombo, the first ever spacecraft created by the European Space Agency to explore Mercury which is slated to launch in October, went on display at the Science Museum in South Kensington last month. The more than six metre tall model – officially known as a Structural Thermal Model – was used to test the spacecraft’s resilience to launch vibrations and temperature extremes – as low as -190 degrees Celsius and as high as 400 degrees – during its seven year journey to Mercury. The Airbus-built model consists of four main parts: Lower Handling Adaptor, the Mercury Transfer Module, the Mercury Planetary Orbiter and the Sunshield. The model features hand-stitched insulation blankets to protect the BepiColombo’s instruments and electronics from the Sun’s heat and a folded solar panel wing, one of three which will generate the craft’s electrical power. The display also features an accompanying video with engineers and scientists talking about the craft. The model is on show until after BepiColombo’s launch in October. 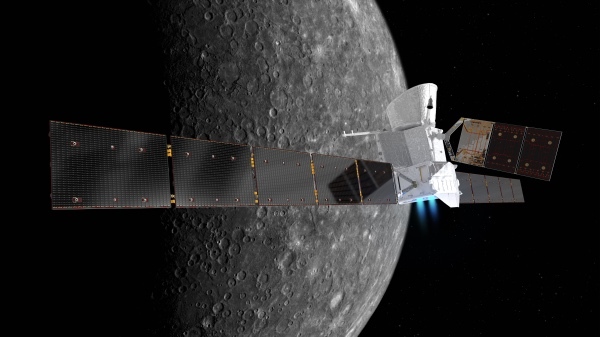 The BepiColombo mission is a joint mission between the ESA and Japan Aerospace Exploration Agency. The display can be seen in the Tomorrow’s World gallery. For more, see sciencemuseum.org.uk/BepiColombo. 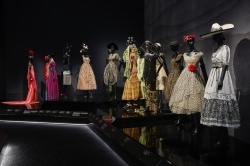 • The relationship between the glitzy world of fashion and the raw materials used to make it is the subject of a new exhibition opening at the V&A on Saturday. 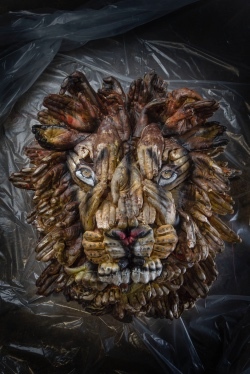 Fashioned from Nature features more than 300 “beautiful, intriguing and unsettling objects” spanning the period since 1600 and including everything from a a pineapple fibre clutch bag, a Calvin Klein dress made from recycled bottles worn by actor Emma Watson (pictured) and a cape of cockerel feathers. One focus of the exhibition is the damage done to the environment due to the demands of fashion and the display highlights some of the campaigners and groups which have been vocal in protesting about the issue. The display also looks at the role design has played in creating a more sustainable fashion industry. Runs until 27th January, 2019. Admission charge applies. For more, see vam.ac.uk/fashionedfromnature. PICTURE: Emma Watson wearing Calvin Klein at The Metropolitan Museum of Art’s Costume Institute Benefit Celebrating the Opening of Manus x Machina: Fashion in an Age of Technology, Arrivals, The Metropolitan Museum of Art, NYC, New York, America, 2nd May 2016 (Matt Baron/REX/Shutterstock). • The British Museum has kicked off a first-of-its-kind two week festival of musical performances exploring the idea of museums as “diplomats of the 21st century”. Running until 29th April, Europe and the world: a symphony of cultures explores Europe’s interactions with the world and looks to create a dialogue between works of classical and contemporary music and objects in the museum which have come from around the world. There’s 17 performances taking place over the two weeks which started last Monday as well as some panel discussions. The works include those of Ligeti, Berio, Stockhausen, Liszt, Messiaen, Strauss, Bartók, and Nono and are being performed along with pieces from historical musical traditions such as medieval temple music from China, classical music from India, Spanish colonial and flamenco music, Spiritual Japanese music from the 7th century and Byzantine choral music. Among those performing are London Sinfonietta, Ensemble für Intuitive Musik Weimar, Accademia del Piacere, Zhang Jun and his Kunqu Ensemble, Kaushikiji Charkraborty and Ensemble, and Reigakusha Ensemble Tokyo. Supported by the German Foreign Office, more details on the festival can be found at www.britishmuseum.org/whats_on/europe_and_the_world.aspx. • Tate Britain has launched a series of new night events curated by young people aged 15 to 25. The gallery, which already held the first event in early April, will open late on the first Friday evenings of June, August, October and December for a series of special events featuring music, live performances and workshops and inspired by displays, exhibitions and artworks in Tate’s collections including the current Art Now installation by Marguerite Humeau, John Constable’s Salisbury Cathedral from the Meadows, the upcoming Duveens Commission by Anthea Hamilton​ and the Turner Prize. Lates at Tate Britain are free, drop-in events with spaces available on a first come, first served basis. For more, head to www.tate.org.uk. • An exhibition showcasing the works of Impressionist artist Claude Monet with a focus on his depictions of architecture opens at the National Gallery on Monday. The Credit Suisse Exhibition: Monet & Architecture is the first exhibition concentrating solely on Monet’s works in London in more than 20 years. It spans his entire career from the mid-1860s to early 20th century and features more than 75 paintings depicting everything from villages to cities like Venice and London as well as individual structures and monuments. The display includes a rare gathering of some of Monet’s great ‘series’ paintings including five pictures from trips to Holland made in the early 1870s, 10 paintings of Argenteuil and the Parisian suburbs from the mid-1870s, seven pictures depicting the cathedral at Rouen from 1892–5, eight paintings of London from 1899–1904, and nine canvases showing Venice from 1908. Highlights include the Quai du Louvre (1867) (pictured), the Boulevard des Capucines (1873), and the flag-filled Rue Montorgeuil, 30 June 1878. Can be seen in the Sainsbury Wing until 29th July. Admission charge applies. For more, see www.nationalgallery.org.uk. 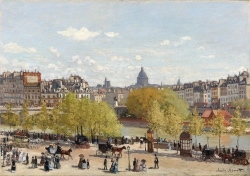 PICTURE: The Quai du Louvre (Le Quai du Louvre), 1867, Claude Monet, Oil on canvas © Collection Gemeentemuseum Den Haag. • London’s Abbey Road Studios are celebrated in an exhibition of the work of rock photographer Jill Furmanovsky which opens at the Barbican Music Library on Monday. Inside Abbey Road Studios – Through the lens of Jill Furmanovsky is a showcase of her work since 1976 when she photographed Pink Floyd during the Wish You Were Here recording sessions and, as well as those images, includes more recent images of the likes of Nile Rodgers, Royal Blood, Novelist, and Mura Masa, as well as emerging musical talent. The display is a collaboration between Abbey Road Studios, Furmanovsky – who became artist-in-residence at the studios last year – and the Barbican Music Library. The exhibition, which is free to enter, can be seen until 27th June. For more, see www.barbican.org.uk/whats-on/2018/event/inside-abbey-road-studios. • Some 20 objects from Ethiopia are featured in new exhibition at the V&A marking the 150th anniversary of the siege and battle at Maqdala, culmination of the British Expedition to Abyssinia. Maqdala 1868, which focuses on the battle and its aftermath, features some of the earliest examples of military photography in Britain as well as a portrait of Emperor Tewodros II’s son Prince Alemayehu taken by Julia Margaret Cameron soon after the prince was brought to England by the British military. There’s also examples of metalwork and textiles including a gold crown with filigree designs and embossed images of the Evangelists and Apostles, a solid gold chalice, jewellery and a wedding dress believed to have belonged to the Emperor’s wife, Queen Terunesh. All of the objects were taken during Sir Robert Napier’s military expedition of 1867-68 which was aimed at securing the release of British hostages held by the Emperor and which culminated in the Emperor’s suicide and the destruction of his fortress. The exhibition, which is free to see, has been organised in consultation with the Ethiopian Embassy in London and an advisory group including members of the Orthodox Tewahedo Church, members of the Anglo-Ethiopian society and representatives from the Rastafarian community. Runs until July, 2019, in Room 66 of the Silver Galleries. There is a program of related events. For more, see www.vam.ac.uk.